The image and the reality is all over the new and old testaments. We pray for it constantly in the Lord’s prayer. But moderns have no idea what the world King means. We don’t have a good concept what it means to receive one. And even the examples that we have, like the Queen/King of England, are not what we are talking about. When those places use the world or the thought King they don’t mean a statutory figurehead. They mean a real one. One like a lion, however nice they might be at play, all you can think is “those claws, those claws”. This sermon is an attempt to recover some of that meaning. It is also an attempt to understand how this King is still different that all the others. 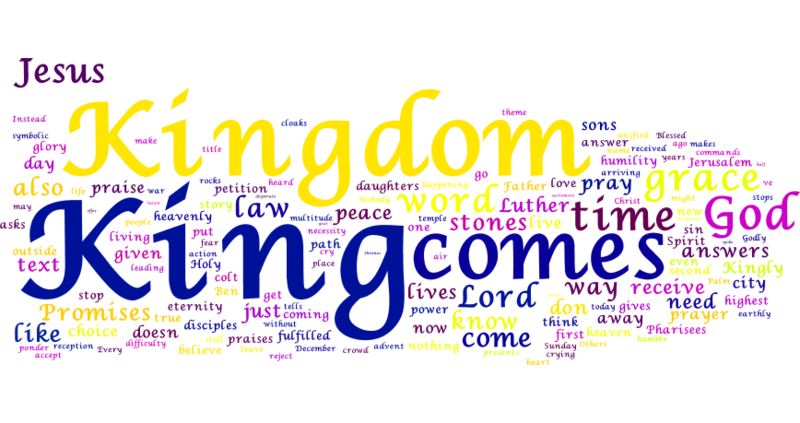 And finally it is an attempt to understand how we receive a king – here in time and their in eternity as Luther would explain the Lord’s prayer petition.